This spring/summer season has been all about pops of colour, from bright red lips to shocking eyes. If you’re a glitter girl, we’ve got good news for you, because it’s on trend for this season. So are braids and plaits, dewy skin, and styles from the 80s. In all four fashion capitals, everything that characterized the 80s was seen on the runways, from shoulder pads to cap hats and ruffles. These may be too dramatic for everyday wear, but you can adapt using brighter shades of blush, taking notes from the lipstick-bright blushers dashed across temples and cheekbones at Kenzo and Chanel. For days when you don’t want to be too dazzling with your blusher, you should try the colour-popping lids spotted at Louis Vuitton and Nina Ricci, clearly inspired by Steve Strange and Bruce Weber’s work. Hair was not left out of the 80s fever as hair stylist, Duffy, used a small curling iron to create cascading curls at Topshop Unique. The show most inspired by the 80s was Marc Jacobs where models sported colourful metallic eyeshadow and knotted, rainbow dreadlocks – but because we care about you, we will not advise you to try on the streets of Brighton! Plaits were huge this season and came in a variety of styles, so we’re sure there is an option for every girl, which hair stylist Guido Palau confirmed backstage. If you’re a fan of precision or are a bit of a tomboy, Dior’s tight plaited buns will work for you. 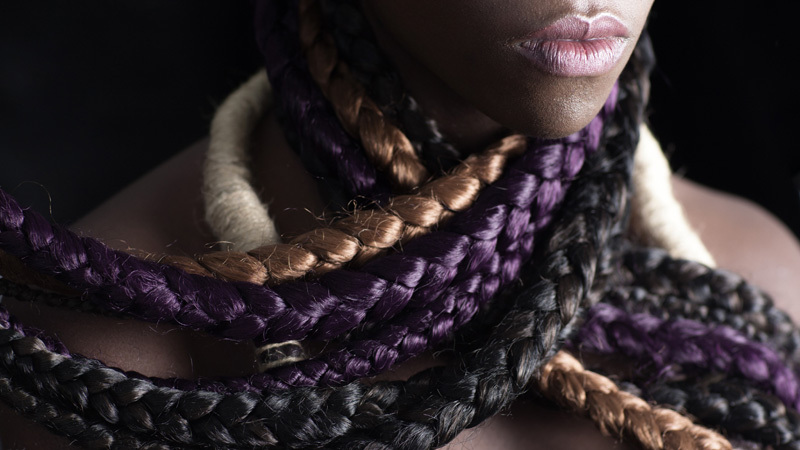 To recreate the look, consider this professional hair styling technique: rub priming hair products between your palms before starting your braids in order to add some grip and keep your strands together. You have other options to take inspiration from, including Erdem’s 17th century woven chignons; the hippie, skinny braids that appeared at Roberto Cavalli; Preen, Simone Rocha’s simple, perky pigtails; and the looped braids seen at Kenzo. This season, we’re jumping from the classic smoky eye to more of a smudged look. Tom Pecheux applied a coating of eye gloss over black liner to create his smudge effect for Altuzarra and Balmain. There’s also Christopher Kane’s patchy shadow inspired by cigarette ash, and the kohl liner at Rag & Bone to create a “late night, early morning feel.” While we can’t tell you how to create “feelings” using makeup, we can point you to a beauty school on Beauty Schools Directory where you can take a course to achieve runway looks for your everyday life; and make a profession out of it too. While it’s not a new look on runways, clean skin without makeup is having a moment this season. Makeup was used precisely to cover blemishes at Michael Kors, Proenza Schouler, and Isabel Marant. Vera Wang, Marnie, Antonio Berardi, and Band of Outsiders made only subtle tweaks. With Alicia Keys persisting on her no-cosmetics decision, there is even more of a reason for you to leave your face bare or use minimal makeup for this season. It was all sparkle and glitter in many corners of the fashion world this spring/summer season. DKNY and Fendi went for dramatic glitter lips, and Giamba opted for shimmering shapes on model’s faces. 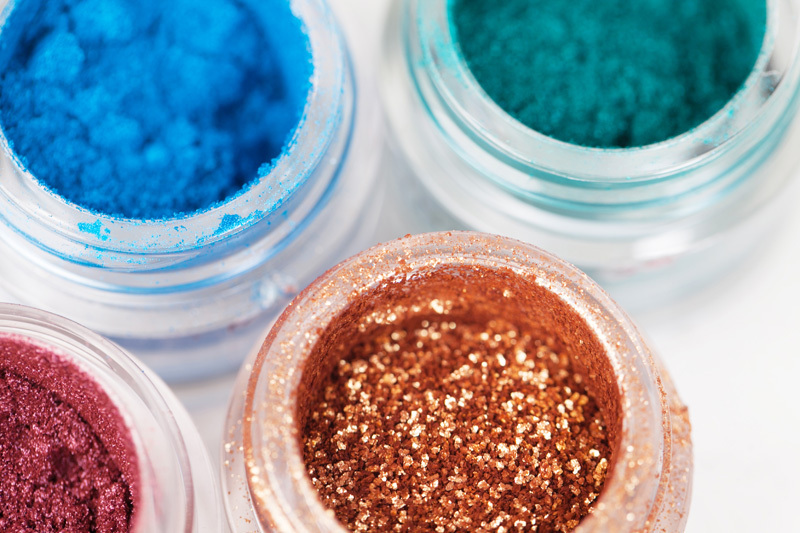 While dramatic amounts of sparkle and glitter shapes aren’t exactly what you might be looking forward to for an everyday look, you could try glitter eyeshadow as seen at Marc Jacobs, or Rodarte’s glitter cuticles. Pair shimmery lids with clear lip gloss, and glitter cuticles with any outfit, whether it’s casual or for the office. Make a statement with glitter nails. Get either glitter shellac if you want your real nails, or try glitter acrylics and transform your usual nails into a bolder shape. Find more about the difference between shellac and acrylic nails on Jessa Bella Nails.